We offer a modern and interactive way to develop your team and at the same time get to know your colleagues. It is very popular to combine the challenges with a delicious meal or to utililize our fully equipped conference centre. This is merely a info page in english. For more specific info, feel free to contact us or browse the following sections. In our 40 unique challenges your team will work together to solve tricky tasks, practise your special skills and help each other to overcome and manage the obstacles you come across. The challenges are the core of our business and our true passion. At the start of each season we launch 15 new interactive rooms. 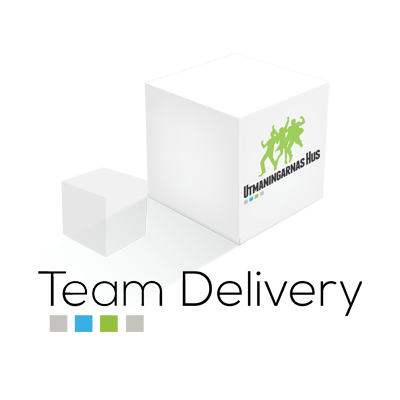 The challenges work as an excellent ice breaker for group who just started working together or as fun teambuilding with your colleagues. We design the challenges suitable for teams of 4-5 people and the goal is to collect as many points as possible during the game. No matter what your talent is, you will find a challenge where you will show your skills. During your stay you will be well looked after by our excellent staff and you will have an assigned host/hostess. This person will greet you at the door and make sure you have all the information required before the challenges begin. During the game our staff is there to motivate and give hints and clues, but the teams are of course free to choose from the variety of challenges themselves. At the end of your stay we will gather the whole group and go through each teams results. This closer look at each teams performance is usually quite entertaining. We finish with the diploma ceremony when we appoint a winning team. The core of the business is our challenges, but we are also pretty damn good at creating tailored events and conferences. Our 2000 squaremeters gives us the opportunity to create events for groups up to 200 participants. We have several different size conference facilities and a beautiful spacious festivity hall. Do you take on the challenge?